Gavin is one (as in, 1%) interest owner of Hana Ranch, a 4,500-acre oceanfront property on Maui in Hawaii; he and his other rich & famous co-owners (including Oprah!) have sent the property to pasture— for a cool $65 million. "Bucolic" comes to mind when we picture the 3,000 acres of pasture land, 1,500 mauka acres of forest preserve, and two-bedroom plantation house (with ocean views) on the block; Gav & Co. hope to find a "conservation-minded" buyer who will keep the faith, as it were, and preserve the land. 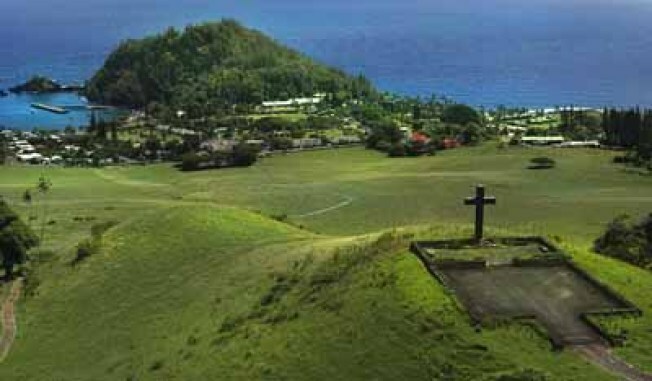 Founded in 1944 and flipped only three times since, Hana Ranch was the subject of much consternation back in 1989, when a Japanese group, Keola Hana Maui, snapped up the spot for $63 million and set to work converting it to a golf course and residential development. Turns out that Hawaiians and Missionites have something in common: the locals raised hell, and the project failed once the Japanese real estate bubble popped in the early 1990's. Ever the strategists, Hana Ranch Partners (as they're known) promised to preserve the area's cattle operation once they took over part of the property— on-site Hana Hotel was pawned off to the owners of Big Sur's infamous Post Ranch Inn. Other partners include sundry rich folks from Montana and Berkeley— oh, and a Getty owns the most.